This new interactive exhibition explores in detail some of the individual servants that worked for the Gaskell family including Hearn, Elizabeth’s faithful housekeeper, and Will Preston, the outdoor servant from Cumbria, whose letter was found during the renovation work. 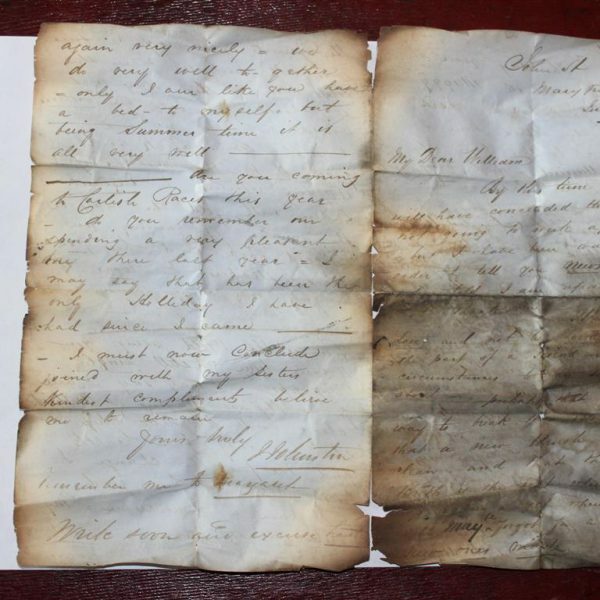 In July 2016, while working on the Coach House at Elizabeth Gaskell’s House, workmen discovered a letter wedged between the brickwork and roof trusses in what is now the Nightingale room. Although the pages were badly scorched, they were reasonably legible. 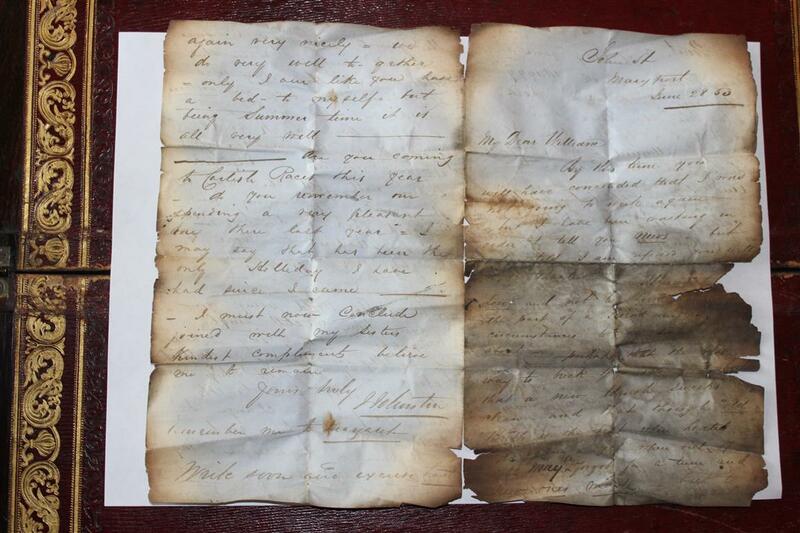 It was sent from Maryport, Cumberland, in June 1853, to William (Will) Preston, a servant to the Gaskell family. In one of her letters, Elizabeth Gaskell noted that Will slept in the attic space above the stables. The letter will be on display as part of the exhibition together with more intriguing background information about Will and the fellow servant he went on to marry. 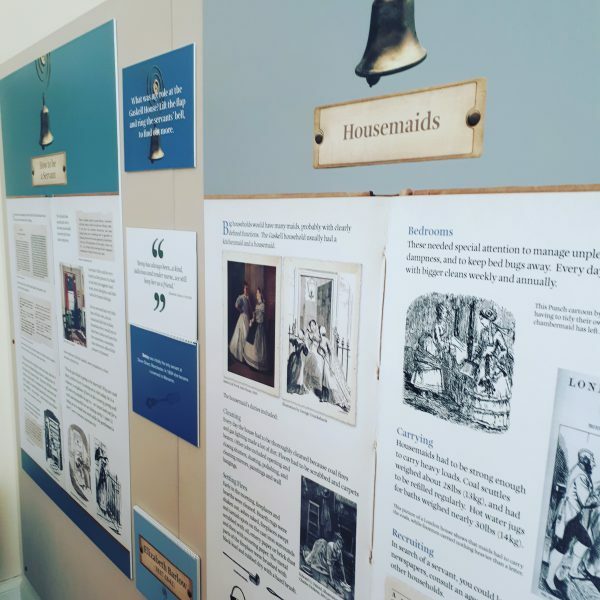 Described by Elizabeth Gaskell in a letter as an ‘awful treasure’, servants played an important role in keeping the House running but they each had their own foibles and stories to tell, some of which can be found out through the exhibition. There will also be a variety of events and talks throughout 2018 linked to this new exhibition and Will Preston’s letter. This exhibition has been created by volunteers with the support of Heritage Lottery Funding.